M6 Warwickshire southbound severe accident, from J3 for A444 Bedworth Bypass Nuneaton to J2 for M69. M6 Warwickshire - One lane closed and queuing traffic on M6 southbound from J3, A444 (Nuneaton) to J2, M69 (Coventry), because of an accident. M42 West Midlands northbound severe disruption, from J6 for A45 Coventry Road Birmingham Airport to J8 for M6 Toll. M42 West Midlands - One lane closed on M42 northbound from J6, A45 (Birmingham Airport) to J8 M6 Toll, because of a broken down vehicle. Traffic is coping well. M6 Warwickshire northbound severe disruption, from J2 for M69 to J3 for A444 Bedworth Bypass Nuneaton. M6 Warwickshire - One lane closed on M6 northbound from J2, M69 (Coventry) in West Midlands to J3, A444 (Nuneaton) in Warwickshire, because of a broken down vehicle. Traffic is coping well. M6 Warwickshire northbound severe disruption, from J3A for M6 Toll to J4 for M42 J7. M6 Warwickshire - One lane closed on M6 northbound from J3a M6 Toll to J4, M42 J7 (Coleshill), because of a broken down vehicle. Traffic is coping well. Coventry City close in on the League One play-off places with victory at fellow promotion chasers Peterborough. 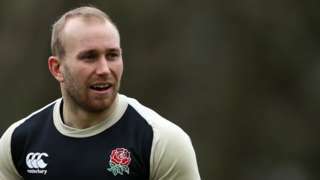 England and Wasps scrum-half Dan Robson faces a spell on the sidelines after suffering with blood clots. 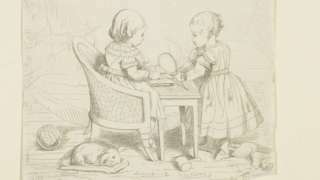 Sketches by Queen Victoria and Prince Albert are among the works depicting childhood. M40 Oxfordshire northbound severe disruption, from J11 for A422 to J12 for B4451. M40 Oxfordshire - One lane closed on M40 northbound from J11, A422 (Banbury) to J12, B4451 (Gaydon), because of a lorry having a tyre changed. Watch pubs, hotels and even the match-day male voice choir prepare for rugby's big day. M6 Warwickshire northbound severe disruption, between J2 for M69 and J3 for A444 Bedworth Bypass Nuneaton. M6 Warwickshire - One lane closed and slow traffic on M6 northbound between J2, M69 (Coventry) in West Midlands and J3, A444 (Nuneaton) in Warwickshire, because of a broken down vehicle. In the roadworks area. The Bishop of Coventry has written to express his "sense of deep outrage at the appalling desecration of human life inflicted on innocent Muslim people" after the shootings in New Zealand. In a letter to Dr Abdullah Shehu, Chair of the Coventry Muslim Forum, the Rt Rev Christopher Cocksworth said: "The scale of the tragedy is appalling and the hatred behind and during its perpetration is truly shocking". Forty-nine people have been killed and at least 20 wounded in shootings at two mosques in Christchurch. "With other religious leaders across the world and in our city and wider region, I stand with you in your condemnation of such violation of humanity, grief in the loss of your brothers and sisters, and in prayer for those who suffered injury to their bodies, minds and spirits, and those who suffered the loss of their dear ones." M6 Warwickshire northbound severe disruption, between M6 and J3A for M6 Toll. M6 Warwickshire - One lane closed and slow traffic on M6 northbound between M6, Corley Services and J3a M6 Toll, because of a broken down vehicle. In the roadworks area. Children have been protesting on the steps of Coventry's council house. They're among thousands worldwide who have abandoned classrooms for a day of protest against climate change. The day of action is expected to include about 100 countries. They are inspired by Swedish teenager Greta Thunberg, who protests weekly outside Sweden's parliament. Nine-year-old Lola (left), from Leamington Spa, said it had been left to the children to protest, "because the grown-ups aren't doing anything". "If we don't stop it, [climate change], really bad things will happen to our planet," she said. Friend, Erin, 10, said it was important to protest "to keep our future alive". M6 Warwickshire northbound severe disruption, between J4A for M42 and J5 for A452. M6 Warwickshire - Two lanes closed, long delays and queuing traffic on M6 northbound in West Midlands between J4a M42 and J5, A452 (Castle Bromwich), because of a broken down vehicle. Congestion to J4 (Coleshill). Travel time is 50 minutes. M6 Warwickshire northbound severe accident, between J4A for M42 and J5 for A452. M6 Warwickshire - Two lanes closed on M6 northbound in West Midlands between J4a M42 and J5, A452 (Castle Bromwich), because of a multi-vehicle accident. A man has been arrested after a police car was hit by a vehicle in Coventry last night. The driver of the car failed to stop for officers at about 21:30 on The Moorfield, in the Stoke area of the city, and went on to hit a police car at the junction of Bulls Head Lane and Siddley Avenue. A 23-year-old man was arrested for possession of a controlled drug, failing to stop and dangerous driving. 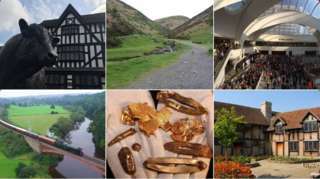 He remains in police custody, said West Midlands Police.